Former Vinnie Vincent Invasion lead vocalist Robert Fleishman was interviewed by Mark Strigl for the podcast Talking Metal at the New Jersey KISS Expo in Parsippany, New Jersey, USA on December 8, 2018. 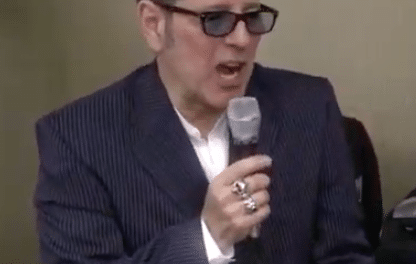 Last month, Fleischman had announced via Facebook that he was pulling out from singing during guitarist Vinnie Vincent‘s two scheduled concerts in Nashville, Tennessee, USA on February 8 and 9, 2019. Fleischman was asked during his interview with Talking Metal whether he had any contact with Vincent since his announcement that he was pulling out of the two February shows. 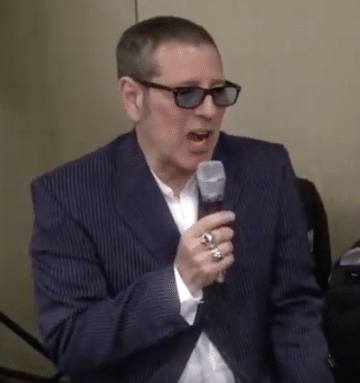 Robert Fleischman talks to Mark Strigl at the NJ Kiss Expo 2018. Topics include pulling out of the upcoming Vinnie Vincent show, Gene Simmons, songwriting and much more. This interview was recorded on 12/8/18 in Parsippany, NJ.